Colour: Lavender 55/45 Linen/Cotton Fabric width: 112cm - 114cm. Dry clean..
Colour: Taupe 55/45 Linen/Cotton Fabric width: 112cm - 114cm. Repeat: 30cm..
Colour: Aubergine 55/45 Linen/Cotton Fabric width: 112cm - 114cm. 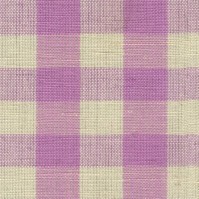 Dry clea..
Colour: Pink 55/45 Linen/Cotton Fabric width: 112cm - 114cm. Repeat: 26cm ..
41 cm x 41 cm 100% Belgian Linen Dry Clean Duck Feather Inner Pad (not inc..
Colour: Lime 55/45 Linen/Cotton Fabric width: 112cm - 114cm. Dry clean Onl..
55/45 Linen/Cotton 112 cm - 114 cm Wide Dry Clean Green on off white P..
Colour: Navy/Taupe 55/45 Linen/Cotton Fabric width: 112cm - 114cm. Repeat:..
55/45 Linen/Cotton 41 cm x 41 cm Dry Clean Feather inner pad (not included..
Colour: Beige 55/45 Linen/Cotton Fabric width: 112cm - 114cm. Dry cl..
Colour : Green 55/45 Linen/Cotton Fabric width: 112cm - 114cm, Repeat: 22cm ..
41 cm x 41 cm 100 Percent Belgian Linen Dry Clean Duck Feather Inner Pad (..
Colour: Leaf Green 55/45 Linen/Cotton Fabric width: 112cm - 114cm. Dry cle..
1 of 8 motifs per 1/2 metre of fabric. Colour: Multi 55/45 Linen/Cotton Fabric..